Shu Uemura have released their The Bijoux Collection for spring 2014 a while ago. This collection includes blusher, pressed powder, matte lipstick, false lashes, and nail polishes. A few weeks ago I attended Shu Uemura Make Up Show at Lotte Shopping Avenue, and I got this Shu Uemura Silk Cushion Eyeshadow in my goodie bag and I was beyond happy because firstly, it is limited edition, so it means I got a chance to try a product that I know wont be available somewhere in the future, and secondly, it's quite pricey and no where I would pay IDR 301,000 for a single eyeshadow. The Shu Uemura Silk Cushion Eyeshadow available in 4 colors: Amethyst Purple, Margonite Pink, Peridot Green, and Amber Brown. The one that I received is Margonite Pink. This product was claimed as "One-of-a-kind, silky smooth textured eye shadow with a marshmallow-like cushiony feel. 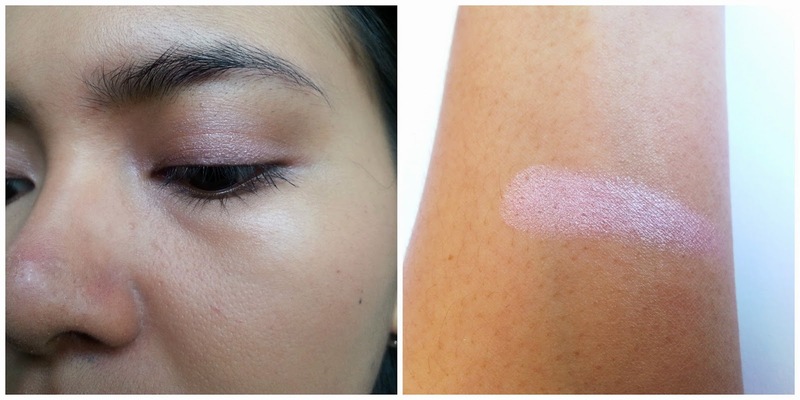 This unique texture features benefits of both powder shadow and cream shadow - desirable color AND long-lasting wear. " And yes, oh yes, the texture of this eyeshadow is exquisite. It feels mousy, and super-smooth, and cool on my fingertips . It's just sooo fine until it got to the point where I want to dip my finger into it all the time. The color it self cannot go wrong, it contains a perfect amount of shimmer to reach that luminous effect without looking like a disco ball on your lid-thanks to the silver white Pearly Carta marbled into it. Unfortunately, this eyeshadow is creasing on my lid A LOT, no matter how much eye primer I applied. And I know it's just not me because from other reviews I've read, many people experienced the same issue. So better not expecting it to be sticking around on your lid like other cream eyeshadow does such as Maybelline Color Tattoo or Borjouis Color Edition Eyeshadow. The next problem is the fact that when I blended this eyeshadow together with other color, it choose to gone and disappeared with no trace rather than merge beautifully with other shades and create a new lovely color combo. 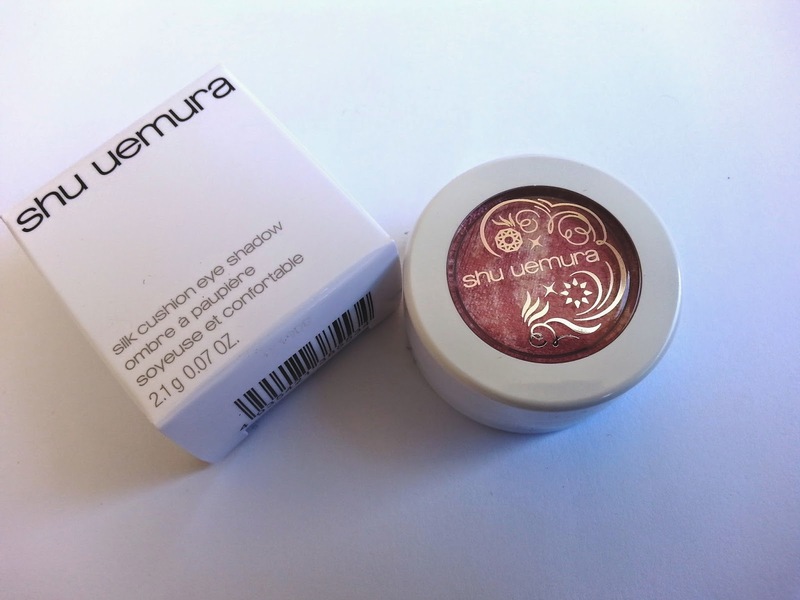 So Shu Uemura Silk Cushion Eyeshadow is basically a product that should be used on it's own. Applying this eyeshadow on my lid was also tricky, I wont bother to use a brush, moreover synthetic brush, because it's just wont picking up the color. Use your finger and it will do all the trick. 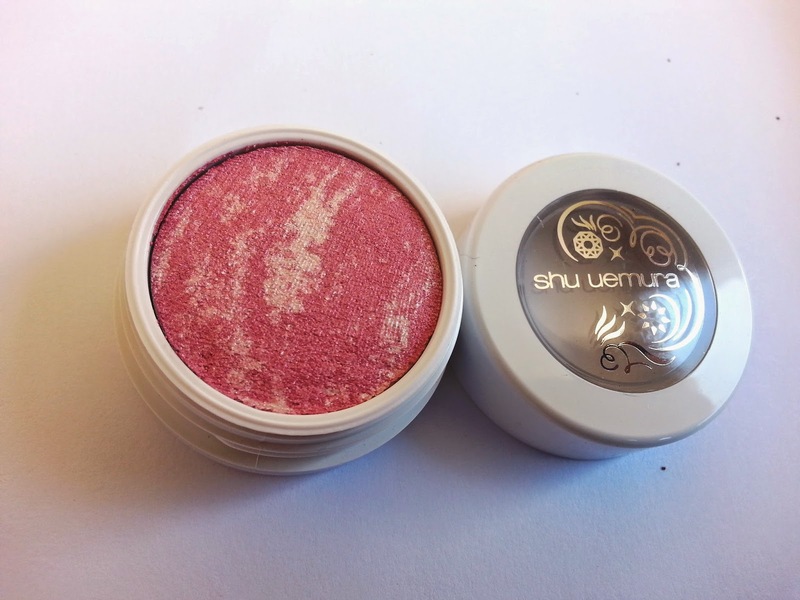 I know I am crazy because after all the cons of this product I am still loving this Shu Uemura Silk Cushion Eyeshadow in Margonite Pink. This eyeshadow enables me to create a natural soft sparkly look for my eyes if I apply it at some certain area: a dab at the center on the lid, a pinky dab at the inner corner of the lid, a soft stroke under my eyebrow, and pretty much stay away from the rest. hai Kak Mel.. aku juga dapat warna ini nich.. Bener banget.. dai aku juga crease during the day gt..
salam kenal yah kak ngomong-ngomong.. Nice to meet you..